DataMarket – Find and understand data. The Data Hub – The easy way to get, use and share data. Knoema – Your personal knowledge highway. WorldMap – Explore, visualize and publish geographic information. Get the Data – Ask and answer data questions. Influence Explorer – Provides overviews of political influence data for politicians. US Census Bureau – Measures America (people, places, economy). datacatalogs.org – A comprehensive list of open data catalogs. 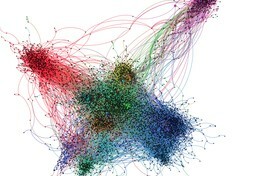 Freebase – An entity graph of people, places and things from Google. World Bank Data – The world at a glance (key development indicators). Data360 – Telling compelling and data-driven stories. Number Of – You ask, they count. Gallup – Public opinion polls. EveryBlock – Uncovers info on large cities contained in government databases. Daytum – Helps you collect, organize and communicate your everyday data. Google Public Data – Filter and animate data sets from around the world. Gapminder – Displays time series of development statistics for all countries. Munterbund – Graphical visualization of text similarities in essays. Occupy Oakland Serves the People: http://bit.ly/ooserves-results Face to face survey of 81 participants, 236 online survey respondents. Video – R-Sheif and LIPTV have created Occupy Video, a Vimeo Group. They have uploaded their video for others to use and mash up. Join and add your video. BizVizz – app and API containing tax rates, political contributions (via Influence Explorer), and subsidy data for 280 Fortune 500 companies with consumer-facing brands. Vanderbilt Television News Archive: Searchable database archiving US television news coverage from 1968 until today. NBC newscasts available online from 1968 until today, CNN from 1990’s until now. Brief descriptions provided for ABC, CBS newscasts, but no video (at physical archive only).